Maybe You should try to mentally ask clearly your question in your daily life a few times, simple and easy questions with few words, precisely and see what will you get in the next hours or days. Maybe you will have sudden urge to search on the web, maybe a melody will play out in your head and track back the lyrics, maybe you get impressions to know what to do or to think. The other option would be to make a strong intent about your question before falling asleep everytime until you get your answer. The misconception is that to interact with the non-physical you must also be non-physical. This misconception comes from the idea that you're a physical being and that the non-physical is separate from you and this physical reality. 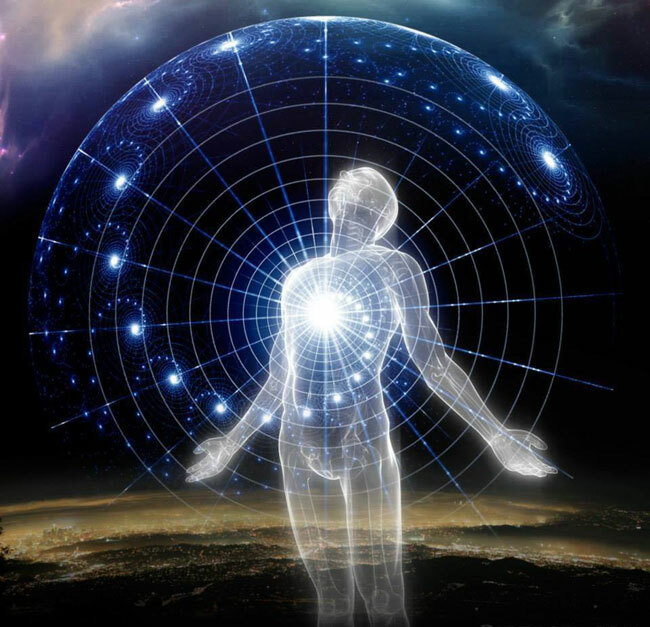 You, me, this reality we're currently experiencing is all one and part of the "non-physical"... it's all part of consciousness. The answer you receive will most likely NOT be anything verbal. It could come to you in ANY way, shape or form... so be open to the answer however it may come to you. I did find SOMETHING that could be what I was looking for. I wasnt meditating when it came to me but it did seem to strike me alot faster than things usually do. To get a proper answer you have to have access to your subconscious, in an altered state of consciousness. Otherwise, it's likely that the answer is given by your hopes and fears, and it's unreliable. While in such a state, as you ask your question, the answer will pop up in your mind. Be sure to ask a clear question, and not to rationalize the answer! If you don't get an answer immediately, don't wait longer. Reformulate your question, and ask again. My reiki practitioner told me that I shouldn't be going into altered states of mind unless I feel that I'm ready. But since i need that information so much I'm sure that the powers that be have other ways of getting it to me. And I've really got nothing to lose. No offense meant to them, but "those" people are usually kind of full of themselves. You go in to an altered state of mind *MANY* times throughout your day and night. There's no harm in exploring it. No harm will ever come to you. As for "powers that be"... there aren't any of those. There's only YOU. Whatever your question is, I can tell you this... It's not as important as you think it is. So, you're saying that I could have been in an altered state of mind without even realizing it? You're entirely enthralled in those activities. There might come a point where you even forget or don't realize what's going on around you. THAT is an altered state of mind. An altered state of mind doesn't just come about during meditation. You're asking questions which, literally, have no answers to. You're also being too "left-brained" about this... stop over-analyzing this stuff. That kind of thing only works against you. Yes, they do have answers. Maybe you just dont understand what I'm trying to do very well. And my "left brain" is already done working out all the bugs, so all that's left to do is let the left side relax because it knows everything is going to be taken care of. That will keep it from working against me. You nigtly go into altered states of consciousness by dreaming. Engrain the question in ur mind as your intent and dreams will answer your question. You nightly go into altered states of consciousness by dreaming. Ingrain the question in your mind as your intent and dreams will answer your question. Unfortunately, while dreaming my awareness isn't high enough, and the answers I'd get are so distorted that I can't sift out the true message, not even if there is a message. Baro-san, do you actively practice AP? If you do, what is your personal technique. I know you have mentioned often how all someone needs to do is learn self-hypnosis. Is that your method as well? I started with OBEs following Buhlman, then tried most of the usual techniques, recommended by most authors. Occasionally I had lucid dreams, but I didn't focus on having them. At some point I discovered Frank's posts (after he already left this forum); I read all of them. I started Monroe's cd's (I got all 6, or such), but lost interest in them. I read many books on these subjects, and others, and in time I reoriented my focus toward things that interested me more. Somehow I feel that most books, and many posts I read came almost at the right time when I needed them to steer me to follow a growth path. Having an engineering formation, I am always looking to find patterns, connections, explanations, and at some point, after I discovered past life and life between lives regression, then rediscovered channeling (especially Seth, then Abraham in a lesser degree), I reached the conclusion that all these and others (law of attraction, affirmation, remote viewing, meditation, etc.) are in fact using knowingly, but mostly unknowingly, hypnotic induction. This seems to be the reason for which many techniques don't work reliably: people don't understand why and how they should work, then they mimic them inefficiently; sometimes, by chance, they work, but most of the time they don't. In time my interest for astral projection / obe / ld diminished. The novelty of the experience was gone, and I was (and I am) after answers and guidance that I can obtain more reliably (higher success rate, and clarity) using self hypnosis. I practically stopped trying to have astral projections / obes / lds. Over time I probably had tens (or more) astral projections / obes / lds, and through them I got a lot of significant (for me) information, and answers to my questions. I also feel that I was even given some guidance for growth, and for life. Only after I got into self hypnosis all started to really come together. First off, Thank You for sharing this. I see we have much in common. I found that too. It was like being aided through the steps of progression/evolution, by some kind of unseen force. I don't have a engineering degree or anything like that. My life path wasn't focused in that direction. I left home at the age of 14 and was basically self taught, through observation and life on the road, how to navigate and survive this life of mine. I read into Channels, but basically saw them saying the same, just using different words. I found that once you understood the general message they were delivering, that it was time to see so for myself. Today, I have had the pleasure of Channeling some deceased soul myself for a good 5 months now. I don't share it with others verbally. Instead, I use my new found Art to share it. It's interesting how you talk about the progression and how it always seems to lead back to "hypnosis" in some shape or form. My first OBE experience occurred after watching a video on "Candle Staring". After that though, I went in search of "programs" that could help. I looked into the Monroe Institute, but that seemed a bit too pricey for me. So instead I bought a program created by Steve G. Jones, who is a Hypnotist. Now for a quick word on that. I know how people think he is a scam and a rip-off. I didn't buy the program for the Messenger. I purchased it for the Message. I didn't know his reputation at the time. His program had some great things in it. His Binaural Beat was the best and still is the best I have ever used. He most likely didn't make it himself. I have heard variations of it before. But his is perfect. His technique also was based solely on "self Hypnosis". That and my own experimentation taught me the value of using "mental triggers" while attempting AP. people don't understand why and how they should work, then they mimic them inefficiently; sometimes, by chance, they work, but most of the time they don't. I wanted to reply on this quote separately here. I have found this statement to be 100% true. It's not like, "you can lead a Horse to water, but can't make him drink", because they are trying. Many of them will get to the 3D dark zone, but just sit there. They will then call it a failure. I too had this in the past. I would get there and think, "Hmm, is this all". I too used to ignore the 3D darkness. I would always try to overide it and move into something more adventurous. Then I realized that this was it. The 3D darkness is exactly where you want to be. This is the place that thought = action instantly. This is the void, the place of Magick, the Aybyss, the place of no mind, the real "Training Zone". The trick is in learning how to understand and utilize this area to achieve your goals. The one thing I have also found is that for some reason many in the World here today lack "common sense" and the ability to think for themselves. My whole Doorway Technique is built on simple common sense based things that anyone can do. In the beginning I used a focus on colors and just simple Geometric shapes. I moved to Doorways because they are easily envisioned, but there was also a trigger in them. That trigger came in the mental association of what they stood for. For some reason, people today need to read the answers they are looking for and depend on the web for that. Self exploration and experimentation seems to be lacking. I myself learned quite a bit about different techniques and the nuts and bolts of this practice. But nothing taught me more than experiencing and exploring it for myself.